This September marks the beginning of the next training year. I just completed my first full year of training with the World Championships in the fall, and looking back I've come a long, long way. The past year has been all about learning how to train and refining my goals. When I first came to the California Rowing Club, simply getting down to the boathouse was enough to elicit improvements. I was incredibly out of shape and out of touch with my single. Much of my first six to twelve months of training were spent fixing those major issues. In winter 2012-13, I spent hours sitting on the bike, rowed miles and miles and miles, and ran more than I've ever run in my life. I'm still working to improve my base fitness, but it's no longer holding me back. In fact, I've reached a point where my ability to recover is more of a constraint than my endurance. I can row or run or bike for 4+ hours a day, but if I were to do that every day, I wouldn't ever reap the benefits that only occur during recovery. My goals also needed some major work. 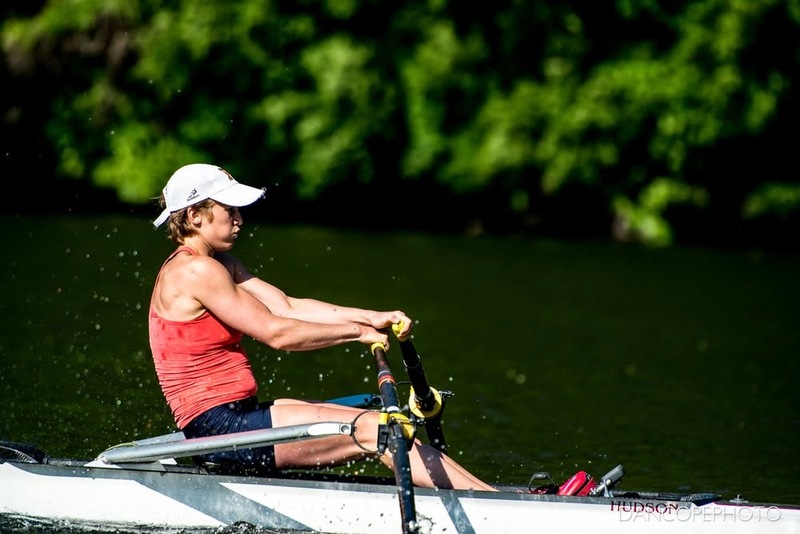 Racing at Canadian Henley my first summer showed me just how far from my goals I was. This past year has been an opportunity to refine my goals, to make them more realistic, and to identify the habits I need to develop and the people I need to rely on to reach those goals. The Olympics is definitely still a goal, and I have some long-term plans for getting myself there. In the meantime, however, I have my sites set on making a World Championship team, as well as improving my individual performance. People often ask me about the process for making the Olympics: when do I know, how do I get myself there, etc. I always tell them that the first step in the process is self-improvement: I need to get fitter, faster, smarter and stronger. Then I can worry about racing, boating and more. Overall, the 2012-13 year was about learning how to improve. This coming year will be about putting those lessons to practice. I have some great racing on the schedule for this coming year, but mostly the year will be about consistent training: logging the miles and the meters and the pounds lifted. I've lost weeks here and there to minor injuries, illness and fatigue (don't try to train if you're not sleeping enough!) Most of those things were preventable, or at least could have been minimized by earlier attention. I've also lost training sessions to laziness and bad habits. When we crossed the finish line 2nd at IRAs in 2011, I regretted every skipped weight session and optional additional workout. I don't want to find myself in that position again. - Add commitments slowly and choose mostly short-term commitments. - Actively develop good training habits, including a workout log. - Surround myself with the resources I need to succeed and stay accountable. Stress is a major contributor to lost training for me, and also detracts from the quality of my training and recovery time. It's obvious when there are major stressors, but it's less obvious with the stress of day-to-day life. Every bit helps, and this is definitely something I could use to improve. - Ask for help more often. - Practice stress management like meditation. Once you think you're good enough, you start to fail. Two years ago, I thought I knew a lot about rowing; now, I know that I hardly know anything. There's a lot left to learn—nutrition, physiology, anatomy, periodization theory, and more. And there's much to be said for a good coach managing these things for you, but there's also no substitute for understanding your coach's plan. - Read more books, at least 4 a month. - Ask lots of questions, of coaches, teammates, experts, etc. - Whenever I think I'm right, try to prove myself wrong. I'm trying to keep in mind that these goals represent bad habits I want to change, and I won't get there overnight. In fact, if I can make any progress towards my goals over the course of the year, I will be in great shape. What are your major training goals?